We Love Soaps: 'The Southside' To Be Released Today as Four-Part Miniseries, True Story of Robert Areizaga Jr.
'The Southside' To Be Released Today as Four-Part Miniseries, True Story of Robert Areizaga Jr.
Kristos Andrews stars as Robert Areizaga Jr. in The Southside. The Southside, an indie feature presentation that shares the tragic true story of 19-year-old Robert Areizaga Jr.’s final months leading to his untimely death, will be released today at 2 p.m. ET as a four-part miniseries. From LANY Entertainment in association with New Universe Pictures, The Southside is written and directed by Emmy-winning producer Gregori J. Martin (creator, writer and director of the The Bay). Based on fact, the gritty feature stars Kristos Andrews (The Bay, X Games Champion); Douglas Santiago (star of the Green/Renzi and Independent Film Channel's blockbuster hit Girlfight); hip-hop sensation Cuban Link (Flowers for the Dead, A Tribute to Big Pun); and features Puerto Rican film and TV icon Miriam Colon, best known for her role as “Mama Montana” in the Universal Pictures motion picture Scarface. There are also cameo guest appearances by daytime television favorites including Nicolas Coster (Another World, Santa Barbara, et al), Ellen Dolan (As the World Turns, Guiding Light), Fiona Hutchison (One Life to Live, Guiding Light), Bronson Picket (As the World Turns), and two-time Emmy winner Kevin Mambo (Guiding Light, One Life to Live). 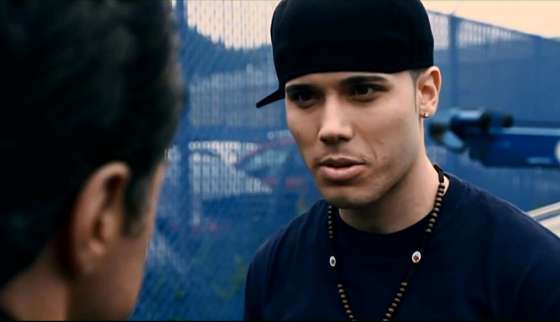 Robert Areizaga Jr. was born and raised in Yonkers, NY. After struggling through a series of trials and tribulations commonly faced by urban youth, Robert realized he needed to change his life and decided to take the Yonkers Civil Service Police Exam. Shortly after he learned he had passed the exam, Robert was brutally stabbed to death at a house party in White Plains, NY. A life filled with promise was cut shortand and no conviction was ever made. The Southside has won rave reviews from tear-filled audiences at screenings on both coasts. Viewer discretion is advised. You can watch the four-part miniseries here.